A steady stream of new customers is vital to the continued success of your business. 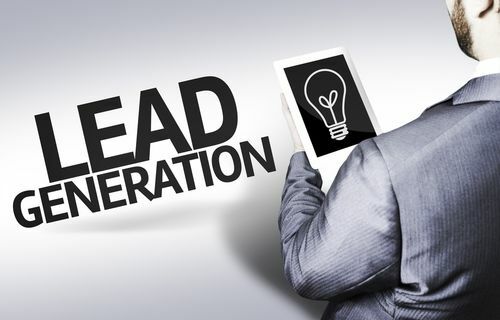 Here are seven reliable lead generation techniques that you can apply immediately to attract more attention to your company and produce more leads and customers. Offer valuable content on your website: When people search for information online, they’re usually seeking insight into their problems or other simple solutions. Attract leads to your site by offering genuinely useful information that’s free. This can include articles, blog posts, white papers, how-to guides or other valuable content that your potential customers need. Use the back of your business card: The back of business cards is frequently unused space that could be utilized to promote offers that attract leads. Make the best use of social media: Facebook, Twitter, LinkedIn — you see references to them everywhere because they work. Establish a social media presence and use it to share content and engage with potential leads and customers. Start that blog: Blogging is another buzzword-turned-standard practice that you can’t afford to ignore. Your blog provides a direct link between you and your customers where you can interact and establish your credentials as an expert. Use catchy headlines and share your content on appropriate sites. Promote using video: The online audience responds extremely well to video content, so come up with ways to integrate video into your lead generation program. Use video to introduce your company, provide explanatory or how-to content, or show your products in action. Send direct mail: Direct mail has been a reliable lead generation tool for generations. Create a high-quality physical mailing with a compelling sales letter. Purchase a mailing list of potential leads and measure response. Repeat successful campaigns with more mailing lists. Ask for referrals: Ask your current customers for referrals to their friends, colleagues and family members. Offer genuine thanks and an incentive to the person who makes the referrals, such as a discount coupon or free product. How can you use these and other lead generation techniques to improve your lead acquisition and management program?